The social justice campaigner, Fr Peter McVerry, has said the death of 17-year old Daniel McAnaspie was the result of ‘the failure of a dysfunctional and under-resourced childcare system’. 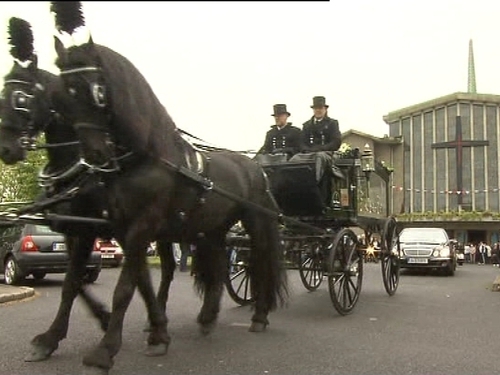 He was speaking at the teenager's funeral mass at the Church of the Annunciation in Finglas West. Daniel's body was found in a field in Co Meath last month, almost three months after he went missing while in State care. Fr McVerry said a major contributing factor in his death was the neglect of him by the State. The Minister for Children, Barry Andrews, has offered his sympathies to the family of Daniel McAnaspie. He also responded to Fr McVerry's criticism, saying while there were very serious deficits in the health system, reforms were underway. He said 25 additional social workers were already in place and a further 175 would be provided by the end of the year. Daniel's body was found in a drain at Rathfeigh in Co Meath on 13 May. A post mortem revealed he had been stabbed to death. His parents are dead and he had been in the care of the Health Service Executive since 2003. Concerns for the 17-year-old's safety were raised when he failed to return to his accommodation on 26 February.